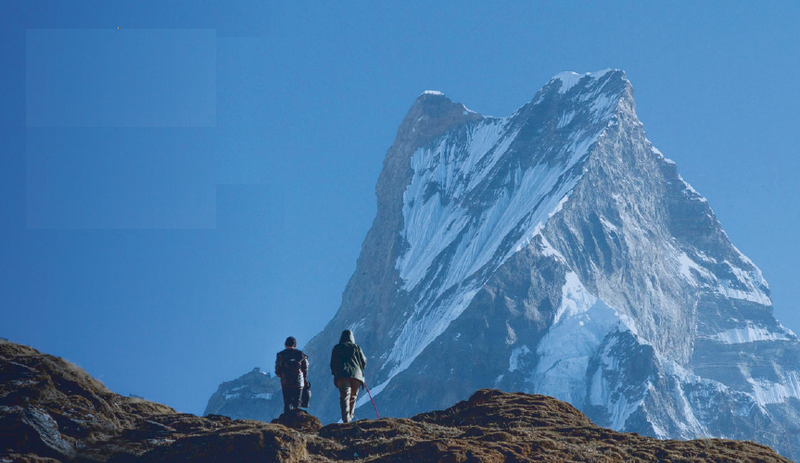 A new voluminous study, “The Hindu Kush Himalaya Assessment: Mountains, Climate Change, Sustainability and People”, published for the Hindu Kush Himalayan Monitoring and Assessment Programme (HIMAP), which is a science-policy initiative coordinated by the International Centre for Integrated Mountain Development (ICIMOD), has sought to debunk the view that the Hindu Kush Himalaya (HKH) region remains pristine, citing water and air pollution as examples. In the following excerpt from the 638-page study, edited by Philippus Wester, Arabinda Mishra, Aditi Mukherji and Arun Bhakta Shrestha, containing papers by scholars across the world, has pointed out how water pollution is directly affecting 240 million hill and mountain people across the eight countries, and indirectly 1.65 billion people in the river basins downstream. Water pollutants -- especially inorganic pollutants -- have already reached unacceptable levels in some HKH areas. Lead (Pb) pollution in several study sites in major river basins including the Salween, Mekong, Yangtze, and Yarlung Tsangpo rivers has been found to be unacceptably high, and magnesium (Mg), aluminium (Al), and iron (Fe) are found in unsafe concentrations. In Manipur and Diphu, India, concentrations of arsenic (As) in groundwater have already exceeded the permissible limit. Similarly, arsenic contamination is severe in Nawalparasi, Nepal and downstream areas of two major Himalayan rivers in India, the Ganges and Yamuna, are severely contaminated by sewage water containing high concentrations of several heavy metals. Significant variation in water quality is observed in freshwater bodies including ponds, lakes, and rivers, especially on south slopes of the Himalaya. This may be attributed to the multiple sources of pollution including domestic sewage, industrial effluents, and runoff from activities such as agriculture and mining. Accelerated eutrophication has been observed in many lakes, including Dal Lake, Khajjiar Lake, Nainital Lake, Anchar Lake, and Khushalsar Lake in India. In Dal Lake, for example, a recent study revealed that it was seriously polluted by chemical fertilizers and pesticides, thus unintentionally nutrient-enriched with concentrations of orthophosphate phosphorous and nitrate-nitrogen reaching 46 and 557 μg/L, respectively. Pesticide use is generally increasing across the region. For example, pesticide use in India has grown by 750% since the mid-1900s. Microbial and organic matter pollution also threaten the health of water systems in the HKH. All of these forms of water pollution threaten aquatic biodiversity, water security, and ultimately human health, on a very large scale through upstream–downstream linkages in regional water systems. Solid waste has increased dramatically in both rural and urban areas of the HKH. The rapid speed of urbanization also means that treatment of solid waste has become a challenge to the sustainable development of cities. In Nepal, for example, around 497 kg per person per day of solid waste is generated from households in Kathmandu Metropolitan City. Although most waste is organic, centralized treatment is still very limited because of inadequate capacity or efficiency of facilities. Increasing waste volumes and growing complexity of waste streams, which contain large volumes of hazardous substances, further impact the soils in the HKH and downstream. On the Tibetan Plateau, the most common heavy metals in soils are manganese (Mn) and chromium (Cr). The natural concentration of arsenic (As) is also very high at around 20 mg/kg . Along the Qinghai–Tibet railway, top-soils in many areas were contaminated by heavy metals in relatively high concentrations, including Cd and Zn. On the south slope of the Himalaya, very high concentrations of Zn, Cd, and Pb were found in the soil of farmlands near Kathmandu. Organochlorine pesticide pollution also has been observed in the soils of Nepal at levels ranging from 20 to 250 ng/g. Above a critical level, all of these substances are toxic to biodiversity including plants and animals, including humans. The sources of pollutants can be both anthropogenic and natural, but their relative weightings differ across regions. In remote areas with few or no anthropogenic activities, the pollutants arrive mainly by long-distance atmospheric transport from industrial regions, as well as by the weathering of parent materials. Along railways or highways, the fuel from transport vehicles are usually the most significant contributors of pollutants. Overall, in both rural and urban areas of the HKH, most pollution is produced by human activities including the use of pesticides and fertilizers, vehicle traffic, and increased industrial activities. Pollution can lead to a series of adverse effects on biodiversity, environment sustainability, and human health. On one hand, some pollutants are shown or predicted to have harmful effects on global biogeochemical cycles, as well as on plant and microbial communities. For example, mercury (Hg) on the Tibetan Plateau may play a critical role in biogeochemical cycles. In addition, pollutants will affect different vegetation to varying degrees, including fragile timberline, potentially introducing severe threat to ecological resilience. Furthermore, presence of heavy metals such as copper (Cu), zinc (Zn), lead (Pb) and cadmium (Cd) may lead to the decline of culturable bacteria, actinomyces, ammonifying bacteria, nitrobacteria and cellulolytic bacteria in nature, and thus significantly affect microbial activities. On the other hand, pollutants can lead directly to serious human health problems. Heavy metals are usually characterized according to their levels of toxicity, persistence, and bioaccumulation, and are widely recognized as posing severe threats for human health and social sustainability. For example, arsenic (As) is a toxic semi-metallic element that can be fatal to humans. As can result in both cancerous and non-cancerous disorders and can harm the human nervous, dermal, cardiovascular, gastrointestinal, and respiratory systems. Similarly, microbiological contaminations, especially by pathogenic microorganisms, can pose risk to human health. Moreover, water pollution may increase the load of waterborne diseases as well as contribute to pollution-induced water shortages, which worsen the water situations in the HKH. Restricted access to safe water and improved sanitation, for example, may cause between 15 and 30% of gastrointestinal diseases, and lead to approximately 1.7 million deaths a year globally [3.1% of all deaths and 3.7% of all Disability-Adjusted Life Years (DALYs)]. Additionally, a health risk assessment of organochlorine pesticides in the soils of Nepal suggested that exposure through ingestion of soil constitutes one of the most likely pathways leading to increased cancer risk across the country. Thus, pollution threatens both ecosystem stability and human health. Biological invasion may result not only in the loss of native species but also in an alteration of the extent or quality of ecosystem services and processes, which in turn may have drastic negative economic consequences. Direct costs of such invasions include losses due to reduced productivity in agroecosystems, whereas indirect costs are accrued in combating invasive species. Many Invasive Alien Species (IAS) found in the HKH are included within a list of the world’s 100 most harmful or damaging IAS, such as Eichhornia crassipes, Lantana camara, Chomolaena odorata, and Mikania micrantha. Many other IAS also pose serious environmental problems and challenges to regional efforts to conserve the environment and to meet sustainable development targets. In Nepal, inventory and assessment work carried out by the International Union for Conservation of Nature (IUCN), Nepal, has identified 166 naturalized plant species, of which 25 are recognized as invasive. Recent inventory work carried out in the ‘Kailash Sacred Landscape’ in western Nepal has specifically noted 15 plant IAS. In terms of fauna IAS, 64 species have been reported in Nepal, including 7 mammals, 6 birds, 19 fish, 22 arthropods, 9 molluscs, and one platyhelminth flatworm. In Pakistan, 73 species of IAS are listed, including many that also are widespread and invasive in other parts of the world, such as Broussonetia papyrifera, Prosopis juliflora, Parthenium hysterophorus, and L. camara. All were reported as high-impact invasive land plants. The diversity (species richness) of naturalized plant species increased with elevation up to 1100 m asl, and then decreased with further gains in altitude. Also identified were 190 IAS in 47 families and 112 genera distributed across the Indian Himalaya. A recent survey identified 488 IAS in China, with the highest number reported from Yunnan Province, but the exact number of IAS distributed in the Chinese Himalaya could not be confirmed. There is limited information about IAS in Afghanistan, Bhutan, and Myanmar.